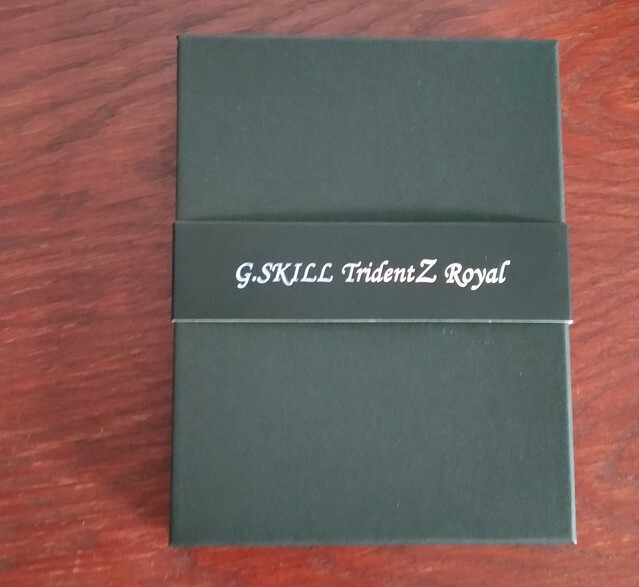 GSkill TridentZ Royal are new kits follow up latest series TridentZ RGB. Design of new Royals is more atractive on higher level. 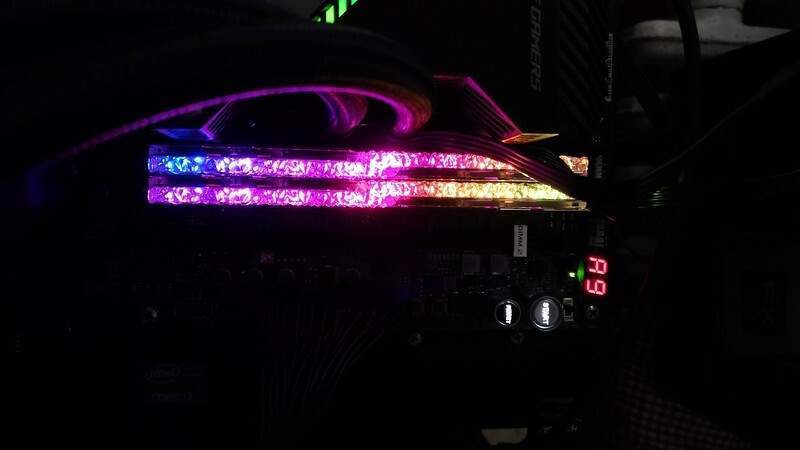 The lighting looks like "diamonds" on memory heatspreaders. And in real life looks great- You can check promo video bellow. 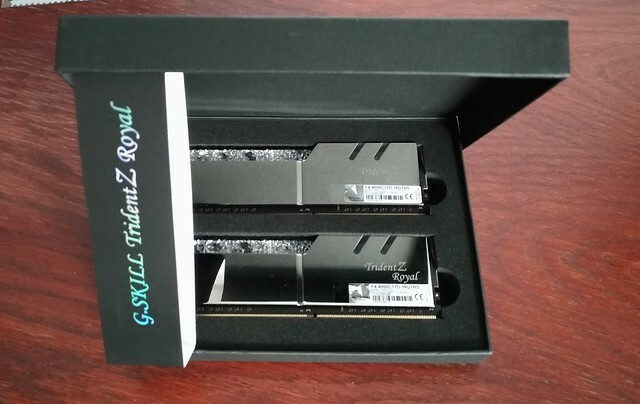 GSkill Royals exists in two versions - gold and silver. In my case I tested silver version. 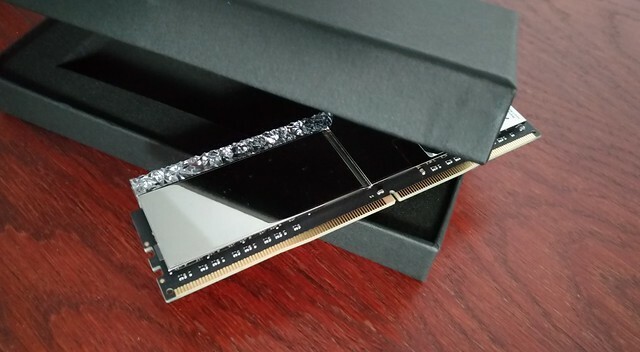 Inside the box make us happy the antistatic cloth (for cleaning not only memory, but also eg for LCDs) and GSkill sticker. After we can see silver gems. Be carefullm on heatspreaders are blank foil. Kits has massive heatspreaders and under it is 10-layers PCB. Specification on XMP default are awesome. Most of editors can not overl it - [highlight=yellow] Timings on XMP is nice 17-17-17 on 4000 MHz frequency! 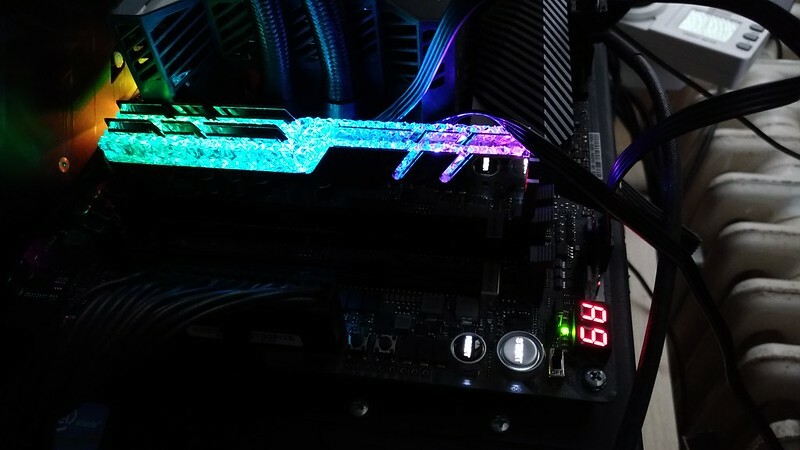 [/highlight] Memory kits are RGB friendly and synchronized example with ASUS AURA software or you can use GSkill software. 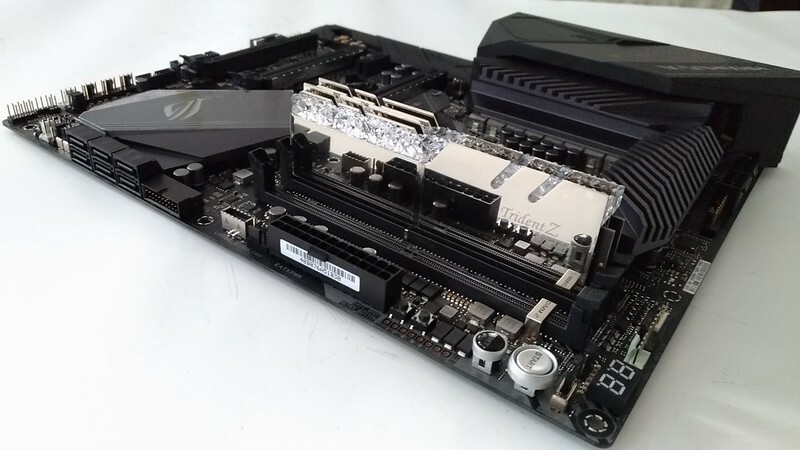 Guaranteed support is for chipset Intel Z370 and Intel Z390. Inside (on PCB) are Samsung chips, B-die chips. B-die are very popular by extreme overl ers because these chips likes high voltages and tight timings. 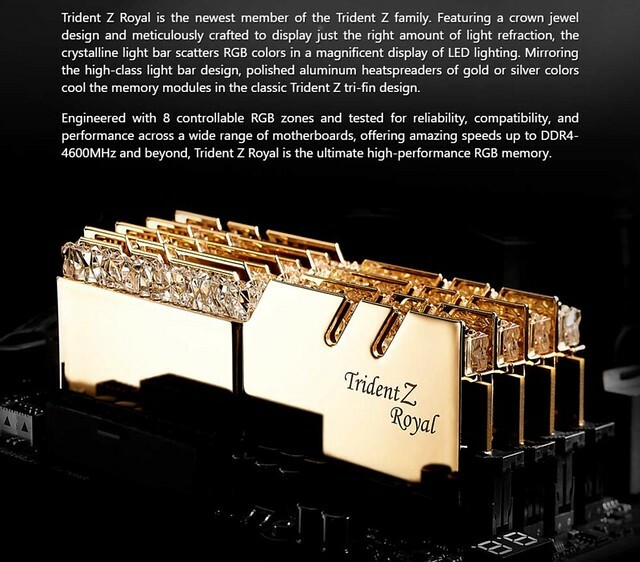 TridentZ Royal have new PCB layout, a little different than TridentZ 2017 model. TNew one layout named A2. A2 seems good for high frequency with solid timings. CPU: Intel Core i7-8086K, my favourite one, good sample 5 GHz 1.15V for all overl ers benchamrks. But for tests CPU is on stock. 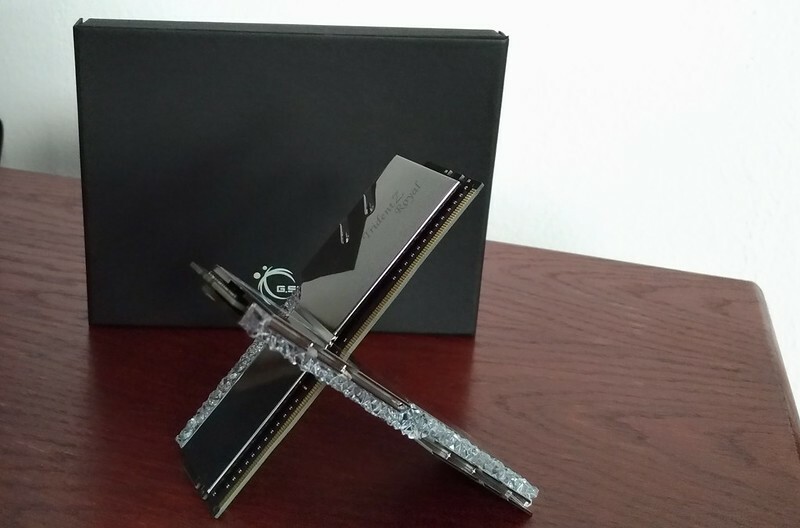 In the night memory looks awesome! a nebo jen o nějak?ch 50 MHz. 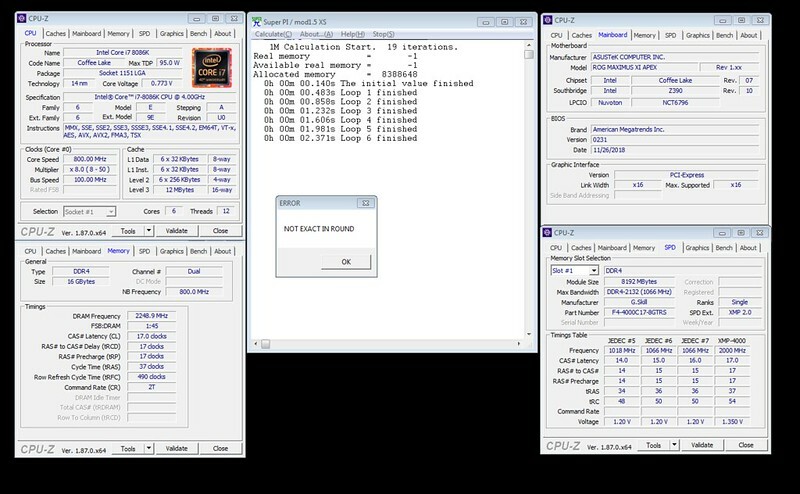 The final result was solid 4300 MHz with 17-17-17. On higher memory clocks I got only some test, but it was not stable. 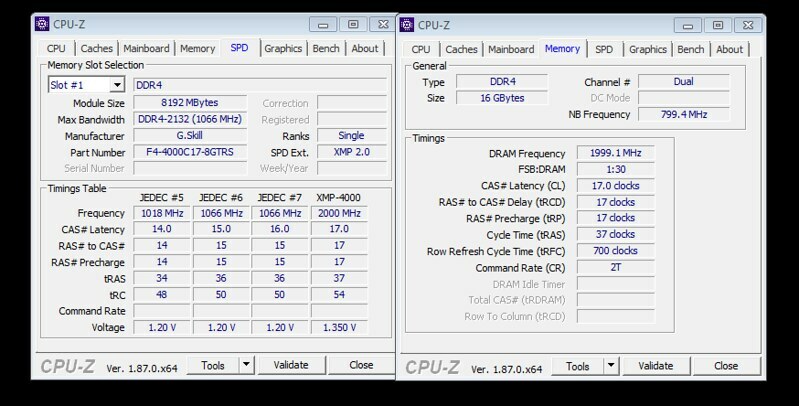 For fun only I checked Superpi at 4500 MHz. Also here I preserved DRAM voltage up to 1.65V. 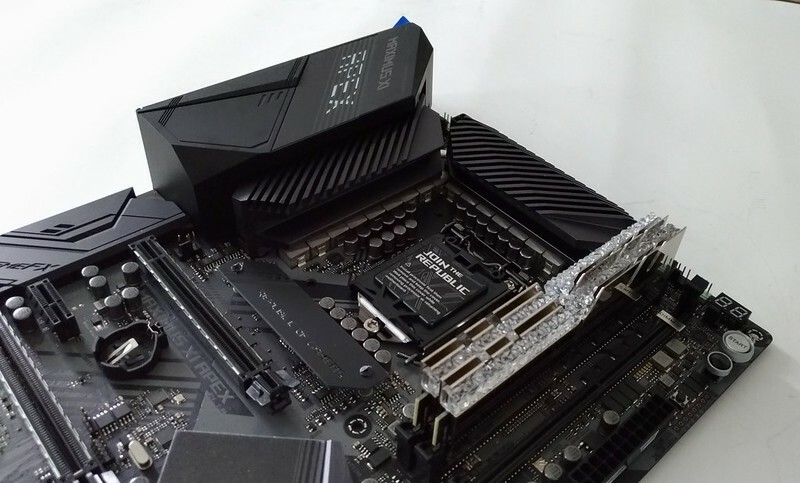 Memory are scaling here very good. 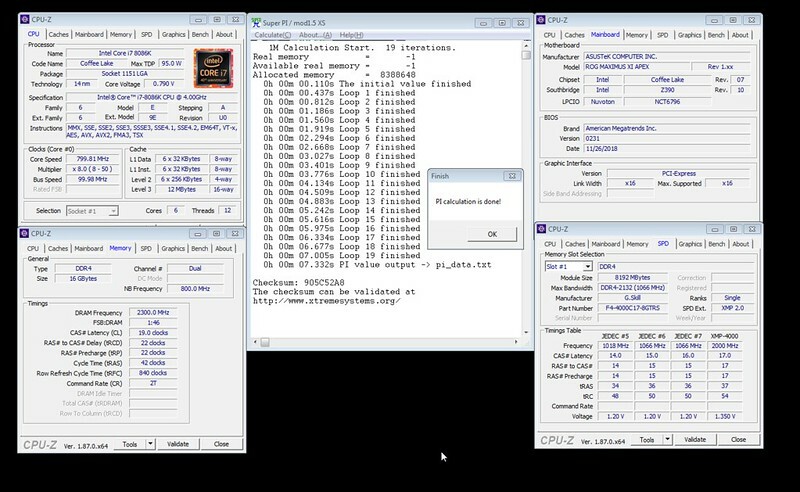 The best results to see are in AIDA64 and Geekbench (memory single score). 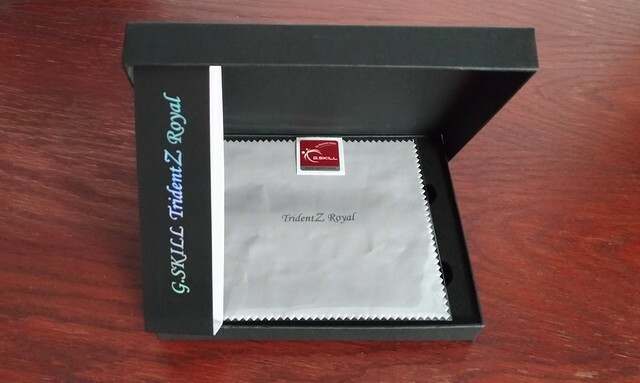 Memory TridentZ Ryoal are good tweaked on stock for high performance and operating at 1.35V. I do not see much 17-17-17 kits in market. It is clear, this memory must to be one of the best in performance results from all. 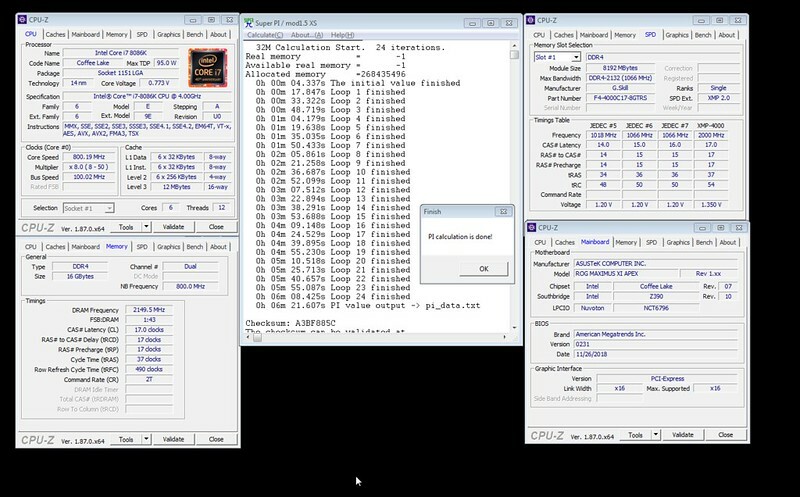 Usually you can see others kits 4000 MHz with timings example 18-20-20, or in better case 19-19-19. 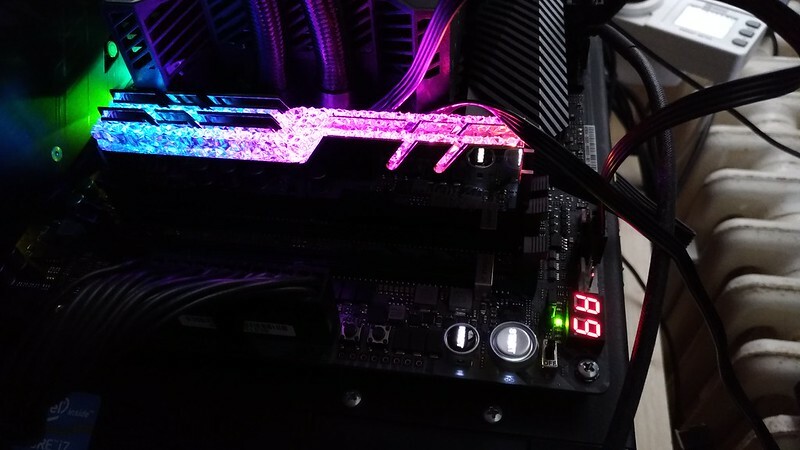 And if you are fan of RGBs, these kits are Miss of RAM modules :-)- GSkill have own RGB software or you can use software of motherboards to synchronize all RGBs devices. 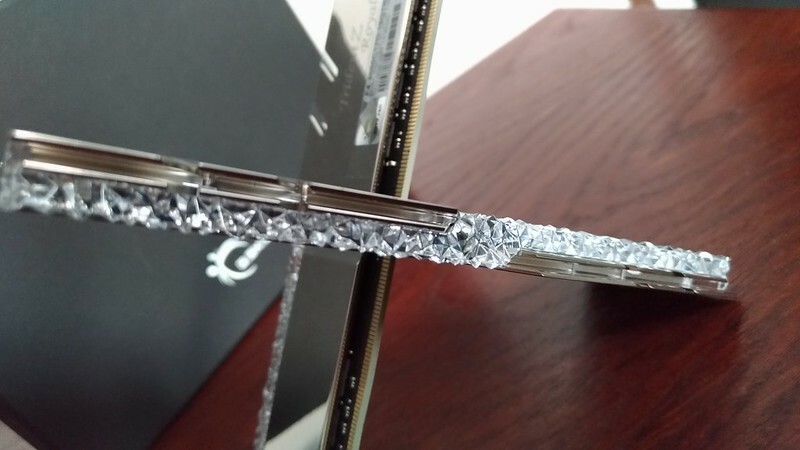 Overclocking is also very solid. But you need some skill to tweak it. 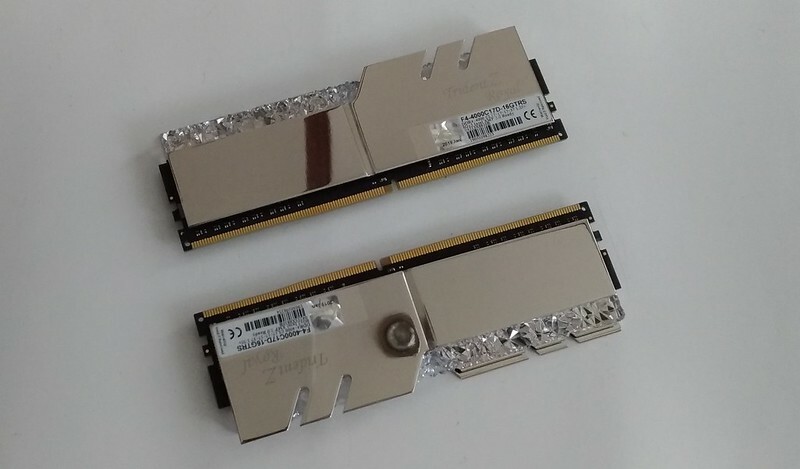 But if you are afraid of tweaking, you can still to buy these kits because performance on stock is really high. Only one negative could be price. Is a little higher, but every TOP product is ussually higher price ranking. Got my F4-3200C14D-16GTRS for the new rig.